Hinshaw, Isaac, head-of-household, age 30, born in Oregon; father born in Indiana; mother born in Oregon; first marriage, married 4 years; occupation: farmer, general farm; rented farm. 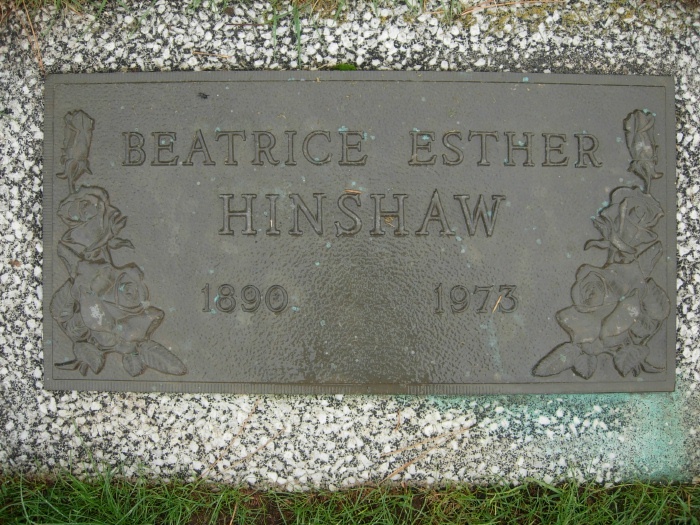 Hinshaw, Beatrice E. [middle initial unclear], wife, age 19, born in Oregon; father born in Canada; mother born in Oregon; first marriage, married 4 years; 1 child, 1 living. Hinshaw, Charles S., son, age 2, born in Oregon; parents born in Oregon. Murry, Charles D., father-in-law, age 48, born in Canada; parents' birthplaces unknown; widower; occupation: blacksmith, working out. Hinshaw, Sanford, head-of-household, age 78, born in Indiana; father born in Ohio; mother born in Iowa; rented home; occupation: none. Hinshaw, Al[..unclear..] E., wife, age 58, born in Oregon; father born in Germany; mother born in Ireland; occupation: none. Hinshaw, Charles S., grandson, age 12, born in Oregon; parents born in Oregon; attended school. Hinshaw, Floyd R., grandson, age 9, born in Oregon; parents born in Oregon; attended school. Hinshaw, Isaac, boarder, age 40, born in Oregon; father born in Indiana; mother born in Oregon; divorced; occupation: clerk, general [..unclear..]. Hinshaw, Chas S., son, age 12, born in Oregon; parents born in Oregon; attended school. Hinshaw, Raymond F., son, age 9, born in Oregon; parents born in Oregon; attended school. Hinshaw, Sanford, head-of-household, age 89, born in Indiana; father born in Ohio; mother born in United States; first married at age 40; owned home ($1500 value); radio in home; occupation: none. Hinshaw, Elma C., wife, age 69, born in Oregon; father born in Germany; mother born in United States; first married at age 17. Hinshaw, Isaac, son, age 50, born in Oregon; father born in Indiana; mother born in Oregon; widow; occupation: laborer, forest services; not a war veteran. Hinshaw, Charles, grandson, age 22, born in Oregon; parents born in Oregon; occupation: laborer, farm; not a war veteran. Hinshaw, Raymond F., grandson, age 19, born in Oregon; parents born in Oregon; occupation: laborer, stock farm. Hinshaw, Isaac, father, age 60, born in Oregon; completed 8th grade; on Apr 1 1935 was living in the same place/town; single; worked 0 weeks in 1939; $0 wages in 1939, plus other income. 1910 census, Middle Precinct, Grant County, Oregon; roll T624-1280, ED 68, page 238B, line #94, dwelling #22, family #22. 1900 census, Waldron Precinct, Wheeler County, Oregon; roll T623-1353, ED 153, page 1B, line #96, dwelling #23, family #25. 1910 census, Middle Precinct, Grant County, Oregon; roll T624-1280, ED 68, page 238B-239A, line #98, dwelling #23, family #23. 1910 census, Middle Precinct, Grant County, Oregon; roll T624-1280, ED 68, page 239A, line #4, dwelling #24, family #24.